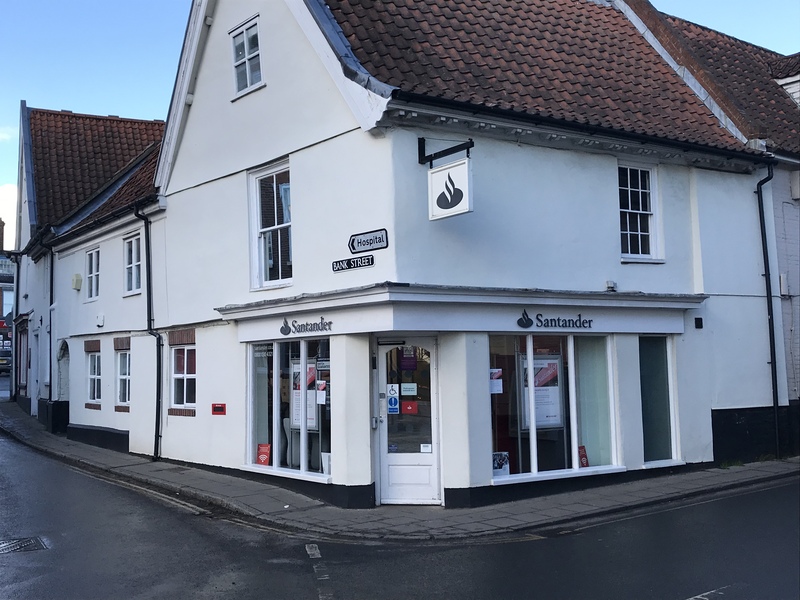 The Aylsham and Holt branches of Santander are to close in the summer as the bank reshapes its branch network. The two branches will be among 140 nationally to shut in response to changes in how customers are choosing to carry out their banking. Aylsham’s Red Lion Street branch will close on July 4, and the Holt one on June 13. Santander will also support customers of closing branches to find other ways to bank that best suit their needs, including individual help to find alternative branches and access digital, telephone and Post Office banking services. Around 100 Santander branches will be refurbished over the next two years through an investment of £55m. Work to improve the North Walsham branch has already been carried out and the new-look branch was re-opened in November. This entry was posted in Aylsham, Holt, Home Page and tagged Aylsham, banking, closure, Holt, redundancy, Santander on January 23, 2019 by Gay Webster.